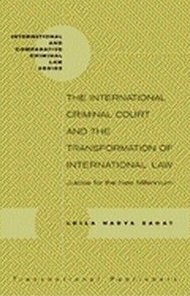 IntLawGrrls: The International Criminal Court and the Transformation of International Law? Maybe not quite yet . . . The International Criminal Court and the Transformation of International Law? Maybe not quite yet . . . 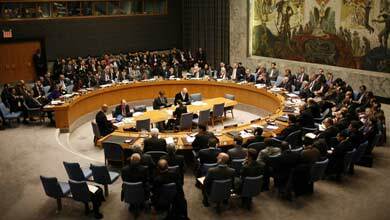 This week, unexpectedly, the Security Council voted unanimously to refer the situation in Libya to the International Criminal Court. That is cause for celebration; but celebration tempered with a strong dose of caution and even some real pessimism about the future. On the plus side, the ICC is now becoming an international institution that is increasingly seen as a real partner in the maintenance of international peace and security. Also, on the plus side, as Diane Marie Amann mentioned in an earlier IntLawGrrls post, the U.S. voted for the Resolution, rather than simply abstaining from vetoing it as the U.S. had done with Resolution 1593, referring to the Court the situation in Darfur. Finally, I entitled this blog entry after my 2002 book of the same name, because one sees in the Resolution glimmers of change — that war is not the only answer to international conflict, that law is a relevant consideration in its resolution and that justice may be a possibility. That would be cause for celebration indeed. At the same time, there are many worrisome elements in the Resolution which bode ill for the Court and for the referral. The Resolution itself retains two outrageous Bush-administration provisions (while admittedly discarding a third). First, while deciding in paragraph 5 that the Libyan authorities “shall cooperate fully with and provide any necessary assistance to the Court and the Prosecutor” (even though Libya is not a State Party to the Court) the paragraph continues that “States not party to the Rome Statute have no obligation under the Statute. . . ” and, in paragraph 6, “decides, that national, current or former officials or personnel from a State outside [Libya] . . . shall be subject to the exclusive jurisdiction of that State” for any acts they may commit relating to UN operations in Libya. What an extraordinary display of double standards, given that several members of the Council who voted for the Resolution are not parties to the Rome Statute! Can a rule of law be a rule of law if it applies to some but not all? The Resolution also provides that the ICC, not the United Nations, shall bear all the expenses relating to the referral, apparently as a way of appeasing the U.S. Congress, many of whose members continue to threaten the Court. So the United States and other non-Party States (China, India, Russia) are using — but not paying for — the ICC as a tool of coercive diplomacy. This is not good news. Finally, the ICC is already struggling to convince African states that it is not a Court directed at them. The first four referrals all seemed quite sensible; but the fifth, the situation involving Kenya, was far more troublesome, given that the Prosecutor undertook the case on his own initiative, and at least some questioned whether it met the legal standards necessary in terms of subject matter jurisdiction, gravity and complementarity to be pursued at the ICC rather than in Kenya or otherwise. (Prior IntLawGrrls posts available here.) There were also serious questions raised at last summer's ICC Review Conference at Kampala as to whether it would not be preferable to see a proprio motu referral of the Colombia or Afghan situations. A sixth referral involving an African state — even in a case involving the clear commission of atrocities — may encourage the ICC’s detractors in Africa, and the double standards evinced by the Resolution’s text do not assist in this regard. In the view of this writer, the Libya referral, in and of itself, is a good thing. The atrocities taking place as reported in the media seem clearly to warrant ICC intervention. But the failure of the great powers to fully support this Court, and to use it cynically when and as they please, rather than committing their money, time, energy and political support to helping it grow strong and endure, feeds the perception that this Court is not about justice, but about power, undermining its legitimacy. Thomas Friedman recently opined that President Barack Obama’s 2009 speech in Cairo (above) strengthened the case for democracy in the Arab world as he led others through the salutary example of his own life. Would that Obama will find the same courage to champion the International Criminal Court, and to show the world that Americans believe in accountability too.